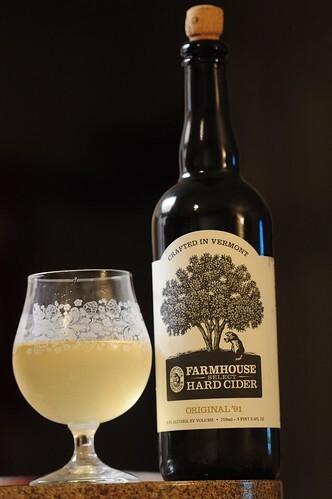 Woodchuck Farmhouse Select Hard Cider-Original ’91, originally uploaded by adambarhan. S: A little bit of wood and faint apple aroma. Smells more like a white wine than cider. T: Tastes kinda like it smells, not too much apple and a lot of white wine. O: Cant say I would buy this one again. I was expecting great things in a Reserve like this especially with the story it had on the label but it didn’t live up.